Once in a while, you will see yourself indulging in restaurant food. Yes, restaurant food whereby the food's more expensive and a service charge will be charged upon your bill. In today's article, I am going to talk to you about my experience at Swensen's restaurant, one of Singapore's most popular family restaurants at Parkway Parade shopping mall which is located around the Marine Parade area. If you look closely at the cover photo of this article, you will notice something slightly different, am I right? 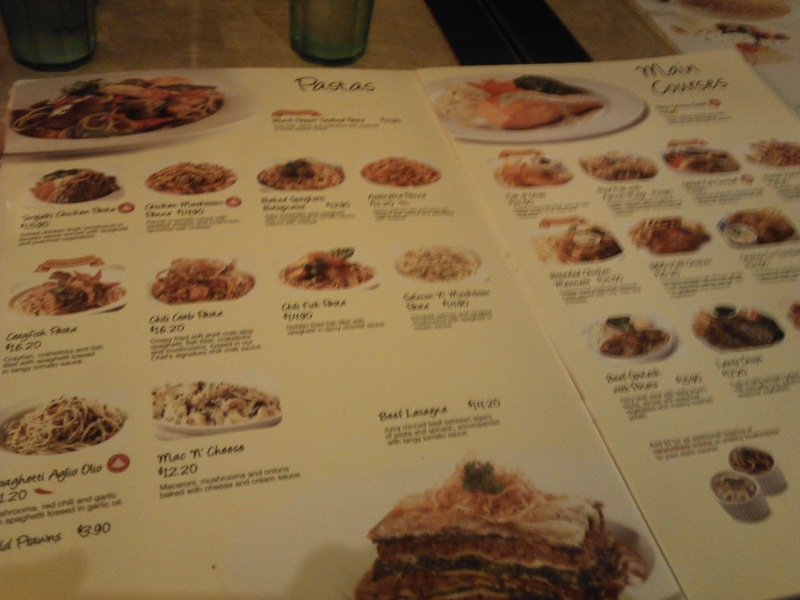 Look at the menu carefully. The menu looks totally different but it's the same restaurant. The cover photo shows the updated menu design with the pictures of food surrounded by rounded rectangle coloured boxes whereas the menu which is the one right above this paragraph, has a photo of one of Swensen's burgers. 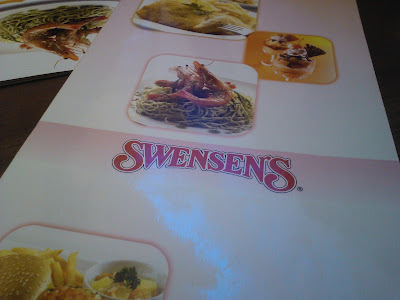 This means that they updated the menu in late 2011 (I went to Swensen's in April and October) and I'm pretty sure they reupdated the menu again this year. Who knows? 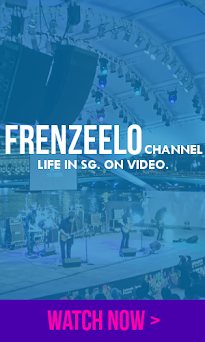 You should check it out and try their new offerings. At the time during October, my last visit to Swensen's, there was this promotion where you pay an extra 5 dollars on top of your main course and get a small bowl of soup, glass of ice cold drink and 1 scoop of ice cream. Not so sure if they are still having the promo now but it looks like a great deal. I believe this is one of the most popular side dishes at Swensen's. It's called the US Fries which is just premium thick cut crispy fries served in a uniquely designed cone. Also comes with a side of BBQ sauce and tartar sauce. Nothing really special but it's simply addicting and crispy. These are Prawn Dippers which are basically fried prawn dumplings. These are so delicious and I just love the shape of the Dippers because they're very unique and crunchy. 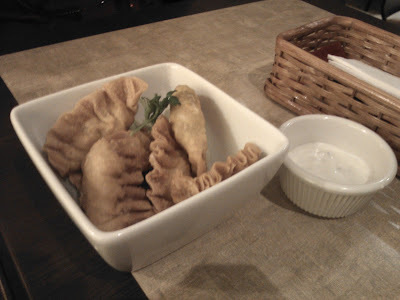 It also comes with some dipping sauce which is tartar sauce. Other side dishes are also worth considering if you don't prefer prawns such as the rodeo wings and calamari rings. I think a lot of people would like to get this. 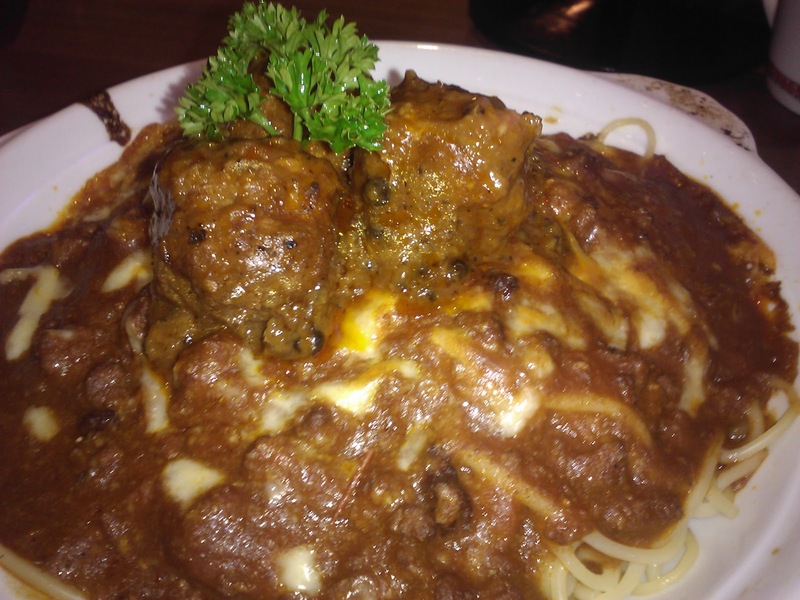 This is the Baked Spaghetti Bolognaise and as you know, Spaghetti Bolognaise will always be an option whenever a restaurant sells pasta dishes. Basically, this dish contains juicy meatballs (I love meatballs), minced beef, tomato sauce served over spaghetti and baked with delicious cheese on top of it. Every bite will make you crave for more. The pasta's smooth and velvety and the meatballs were chewy and melts in your mouth. It's simply delightful. 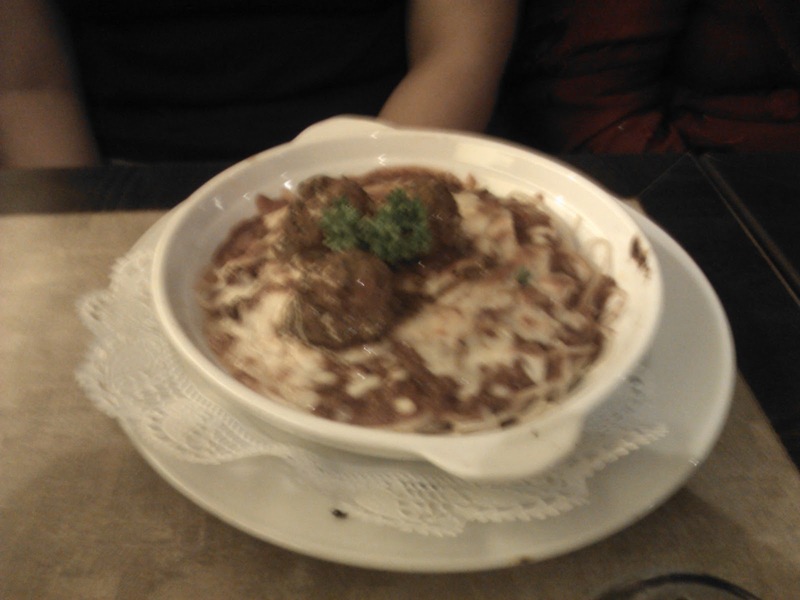 My sister was the one who got the Spaghetti Bolognaise whereas I got the Beef Stroganoff Baked Rice. This dish was also delicious and heavenly. The Stroganoff consists of thick chunks of beef cooked with soft onions and smothered in brown sauce. Not only that, there's also rice underneath the sauce and and delicious melted cheese on top of it. I don't know about you but the dish looks beautiful. It's so tasty and the sauce and cheese melts in your mouth. The thick chunks of beef totally complements the dish well. I just drooled from looking at the picture and thinking about this dish. 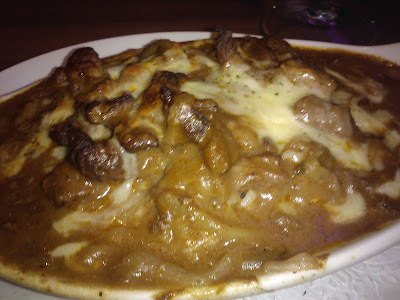 Seriously, if you're a fan of cheese and beef, you really should get the Beef Stroganoff baked rice as it's truly heavenly. Apart from the Stroganoff baked rice, there's also the Mac 'N' Cheese. This all- American favourite dish is here in Swensen's. Notice that most of the dishes I have shown so far has cheese in it? Oh yeah, cheese is awesome. 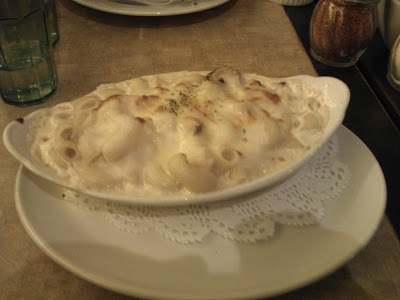 Anyway, the Mac 'N' Cheese has, of course, soft macaroni smothered with cream sauce and lots of cheese on top of it. There's also some mushrooms and some onions to complete the overall taste of the dish. There's also another cheese dish that I liked but not shown here is the Chicken Baked Rice which, according to Swensen's is a popular item. The Mac 'N' Cheese is simply unique on it's own. 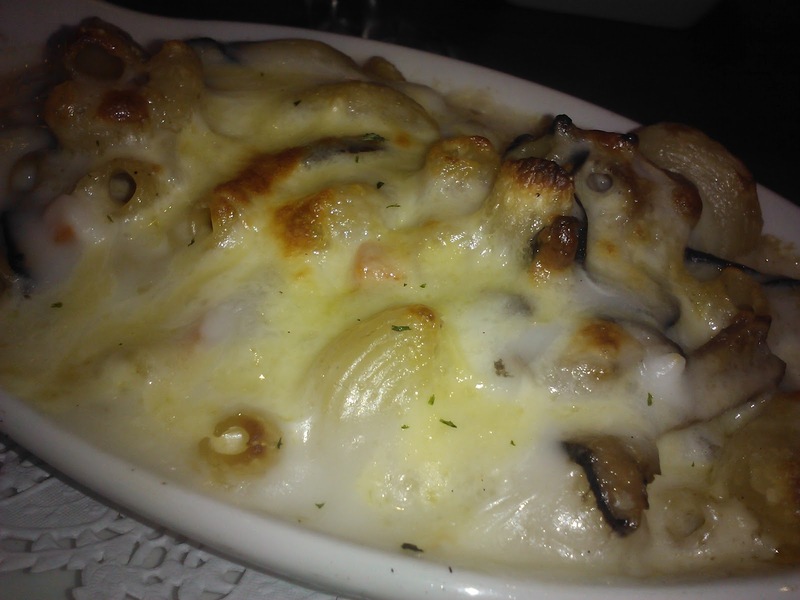 I just love the gooey cheese and cream sauce that's smothered on top of the macaroni. Simply delicious and delightful. When you scoop your spoon in the dish, the cheese and cream will come out like string cheese. The macaroni was also nice as it's soft and not unchewable (not sure if it's a real word). Mushrooms and onions are okay, nothing much to talk about it but completes the whole dish. Overall, if you love Mac 'N' Cheese, there's no reason not to try it at Swensen's. Last main dish, there's the Fish and Chips. Almost every restaurant will sell Fish and Chips. It's simply one of the best and most popular dishes ever. Swensen's Fish and Chips consists of two pieces of delicious fried fish fillets and comes with tartar sauce. 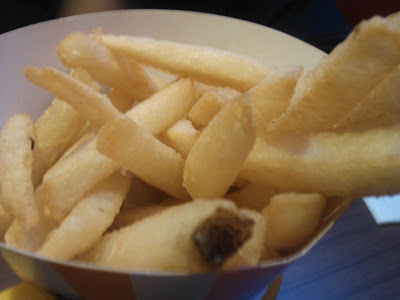 Extras include crispy US fries and coleslaw. 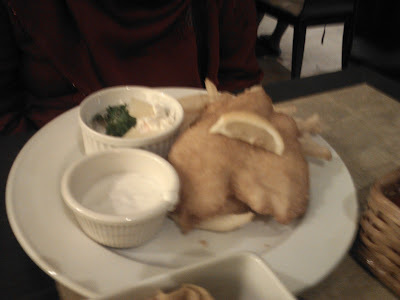 I do like Swensen's Fish and Chips because it's crispy as it's fried in breadcrumbs instead of batter. Battered fish is still the best but still, kudos to Swensen's for making it crispy with breadcrumbs. 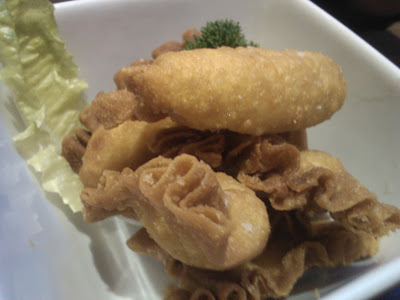 Plus, Swensen's fried fish is thick and moist, something that I like. If you like fried fish, get this. Swensen's actually started off as an ice cream parlour and of course, I must order some dessert. It's a waste if you enter Swensen's and not get any dessert of some sort. This delicious, yellow-coloured sundae is the Durian Supreme. Many people especially those from the Western countries cringe and will try their best to avoid durians as they find it stinky. I love durians. If you don't know, Durian is a spiky green fruit with sweet yellow flesh which smells and tastes heavenly. And what's better than durian? Durian Ice Cream with Attap Seeds and almonds. The sweetness and flesh of the durian fruit and the creamy smooth texture of ice cream coming together is truly delightful and totally delicious. I'm a durian fan and this has got to be one of the best durian desserts I have ever tried. I'm sick and tired of durian cakes and durian pancakes so Swensen's durian ice cream is something new to try. One thing that I have a problem with are the Attap seeds which are like oval longans. I don't know how the fruits look like in real life but the Attap seeds can be quite huge to chew and swallow them. If you have kids, be careful of them eating the Attap seeds as they risk choking. One thing for sure is that, this ice cream is truly recommended for you durian fans out there (like me). I'm not only a fan of durians, I also love Mint flavoured ice cream. This is the Merri Mint ice cream sundae. It comes with scoops of mint ice cream with hot fudge and some embellishments like the whip cream, sprinkles, wafer and cherry. 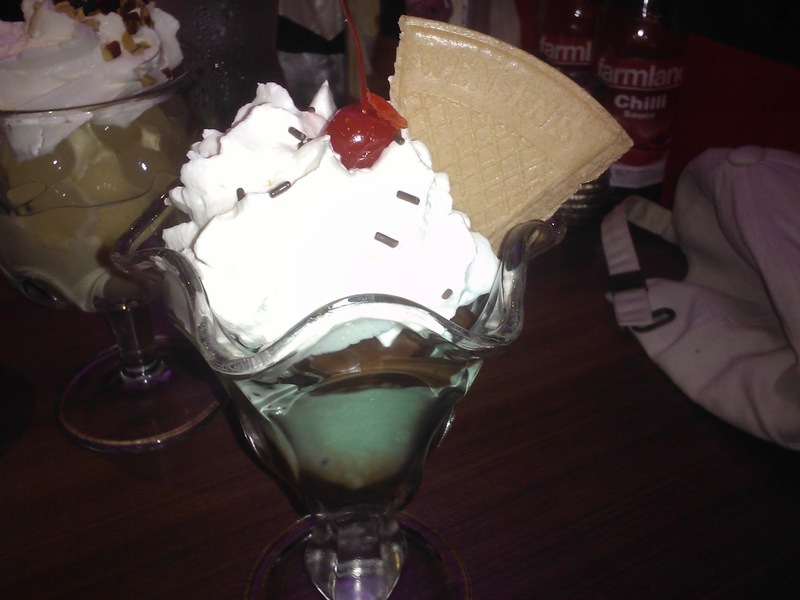 The embellishments are what makes Swensen's sundaes unique and their variety of sundaes also makes them unique from other ice cream parlours in Singapore. The mint ice cream was tasty and has that minty spicy taste that I really like. It's not that 'spicy' and doesn't taste like toothpaste at all unlike other mint ice creams. If you're a mint lover like me, get the Merri Mint sundae and I'm sure you won't regret your purchase. Oh yeah and I forgot that the ice cream's smooth, creamy and melts in your mouth. Sorry for the overly bright and slightly blurry picture. Apart from ice cream sundaes, Swensen's also makes heavenly dessert shakes. These aren't the typical milkshakes you can find at several fast food outlets. They're freshly made at the ice cream counter and has lots of different varieties and flavours. 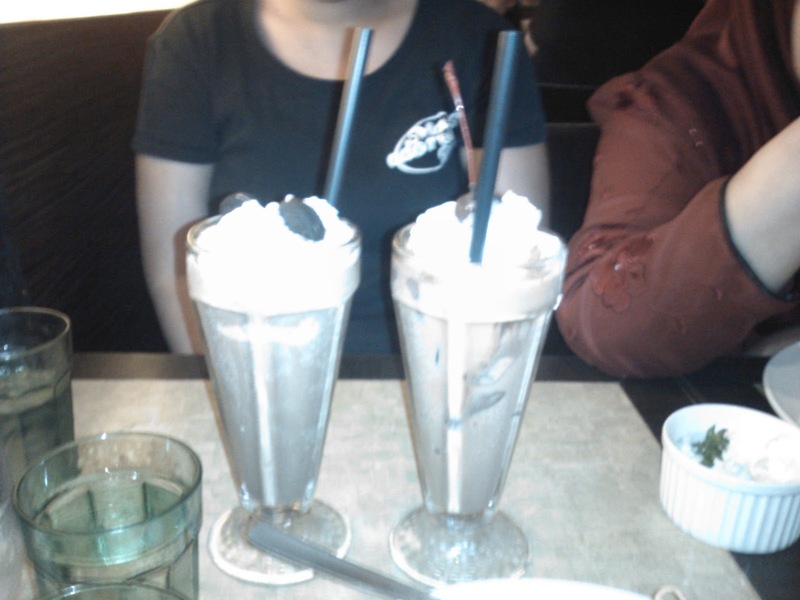 The shake on the left is the Cookie Monster shake whereas the one on the right, is the Ice Cream Blended shake. Specifically, they're Ice Blended Coffee Drinks. I like the one on the left more because it contains a mixture of Cookies and Cream ice cream blended with shots of espresso and oreo cookies. I love cookies and cream. The one on the right isn't really that special but it's okay though with the coffee ice cream blended in. If you're sick and tired of eating ice cream sundaes, these Ice Blended coffee drinks are great alternatives especially if you're a big fan of coffee. Lact but not least (like finally), it's the Hot Fudge Sundae. Just as the name insists, the sundae is just plain vanilla ice cream smothered in delicious hot fudge. 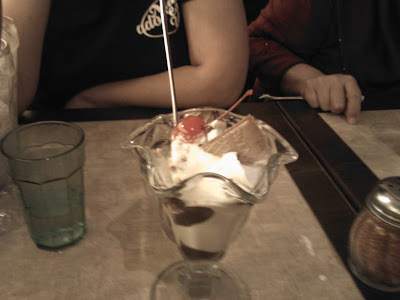 Nothing special about it although I can say that it's delicious and more interesting than regular hot fudge sundaes. The embellishments also make it more unique. 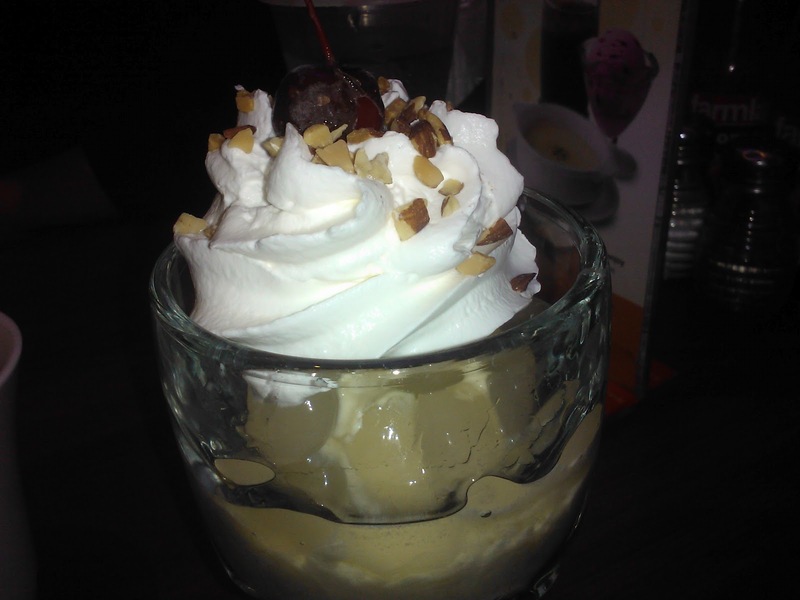 Overall, my two visits to Swensen's Parkway Parade was awesome and satisfying. 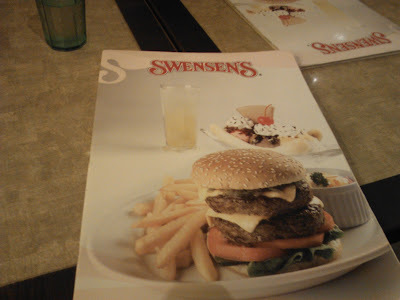 Swensen's has lots of main courses ranging from pastas to baked rice to burgers and more and desserts ranging from sundaes to splits to yoghurt to milkshakes and so much more. 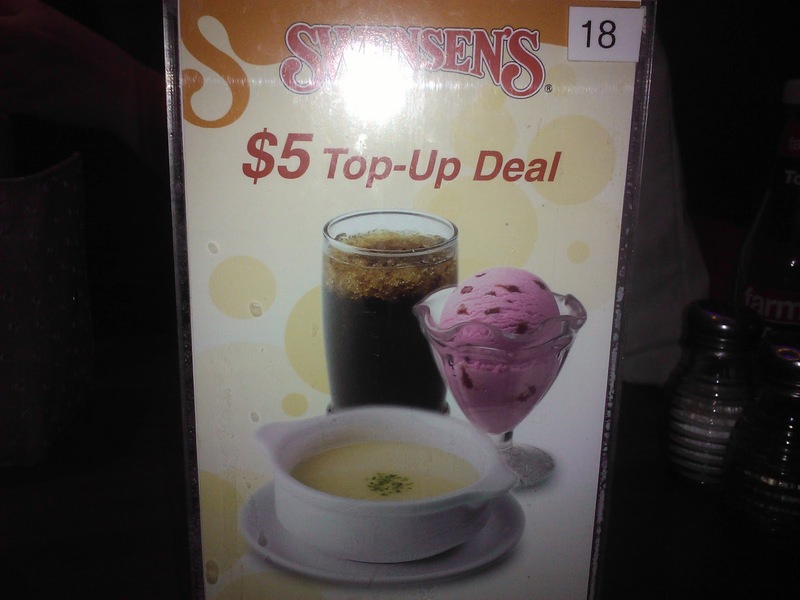 No wonder Swensen's has lots of branches and touted as Singapore's favourite family restaurant. If you're hungry and got some deep pockets, I suggest you to visit Swensen's family restaurant which is available at most shopping malls in Singapore. Go during the afternoon and you'll find some amazing lunch deals.